Dr. Lindsay Rosenwald (b. April 16th, 1955) is an American financial expert and medical doctor with an emphasis in the fields of biotechnology and medical research. He has emerged as one of the leading investors in the biotechnology industry over the last two decades. In total, Dr. Lindsay Rosenwald has created and funded more than 50 companies and acquired more than 100 development stage medicines during his career. Through the efforts of Dr. Rosenwald, many of these medicines have been approved by the U.S. Food & Drug Administration (FDA) and also in a variety of foreign countries. A native of Pennsylvania, Dr. Lindsay Rosenwald graduated from Abington High School in 1973. Dr. Rosenwald earned a Bachelor of Science degree in finance from Penn State University in 1977. While attending Penn State, he took a leadership role in the business school’s honor society, Beta Gamma Sigma. After graduation, Dr. Rosenwald attended Temple University School of Medicine, where he earned an M.D. in 1983. Dr. Lindsay Rosenwald accepted an internship with Abington Medical Hospital in his hometown of Abington, Penn., in 1983. He would remain dedicated to private medical practice for the next three years. Eventually, Dr. Rosenwald moved to New York in order to pursue a career on Wall Street. Before focusing on the biotechnology sector, he spent time as an internist and as an independent healthcare consultant on Wall Street. In order to provide further support to the medical community, Dr. Lindsay Rosenwald began the Rosenwald Foundation, a philanthropic organization that offers millions of dollars to fund and support several medical and scientific education institutions. Under the guidance of Dr. Rosenwald, the Rosenwald Foundation funds development and research projects in the pharmaceutical, biotechnology, and life sciences field. In 2002, Dr. Lindsay Rosenwald was named the top “Molecular Millionaire” by the prestigious online industry publication, Genetic Engineering & Biotechnology News. 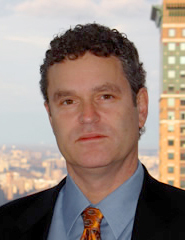 From 2002 to 2006, Dr. Lindsay Rosenwald served on the board of directors for Keryx Biopharmaceuticals Inc.
As a partner and co-founder of Investment Partnership, Dr. Lindsay Rosenwald utilizes his extensive experience and expertise in the fields of direct investing, asset management and venture capital in the life-sciences and biotechnology industries. Investment Partnership is an asset management firm that provides investments to the health-care industry, primarily in the field of biotechnology. Throughout his career, Dr. Lindsay Rosenwald has been a widely acclaimed developer and founder of biotech companies. Cougar Biotechnology, a company founded by Dr. Lindsay Rosenwald, was acquired by Johnson & Johnson for $1 billion, based solely on their development of the drug abiraterone acetate. The drug is applicable to prostate cancer patients in their therapy and treatment. It is expected to become a multibillion dollar medication within the next couple of years. Biotechnology firms founded by Dr. Lindsay Rosenwald have developed more than 100 clinical-stage drugs. One medicine in particular, approved for leukemia treatment, has cured thousands of patients in the last 10 years. Another drug created by one of Dr. Rosenwald’s companies is now a billion-dollar-selling medicine used in the treatment of prostate cancer. The company that managed this treatment became the first biotech company in history to be acquired, after the completion of only one phase 2 study, for $1 billion. Other drugs treating medical conditions such as influenza, obesity, fibromyalgia, schizophrenia and infant respiratory distress syndrome have been developed and approved by some of Dr. Rosenwald’s companies. The portfolio of Dr. Lindsay Rosenwald includes three recent chemical agents that have been accepted by the FDA. At this time, his companies have many medicines undergoing clinical trials. The FDA assembles a group of physicians, statisticians, chemists and pharmacologists to properly assess the validity of developing the potential medicine in additional clinical trials. Dr. Lindsay Rosenwald helps in establishing a development schedule for each new drug while accounting for the FDA’s testing process. Dr. Lindsay Rosenwald is currently acting as a member on the Columbia-Presbyterian Health Sciences Advisory Counsel. He previously served on the board of directors for the pharmaceutical company Indevus Pharmaceuticals. Previously, Dr. Lindsay Rosenwald also served as a founder and director of BioCrystPharmaceuticals and Titan Pharmaceuticals. He is a member of the Columbia-Presbyterian Health Sciences Advisory Counsel.